The Toastmaster TP424 pop-up toaster processes as many as 300 slices in an hour in four 5.25-inch-by-1.125-inch slots. In each slot, all of the sides are heated, perfect for toasting slices of bread for sandwiches and breakfast dishes. Food particles are caught in the crumb tray, which is removable with its pull-out design. 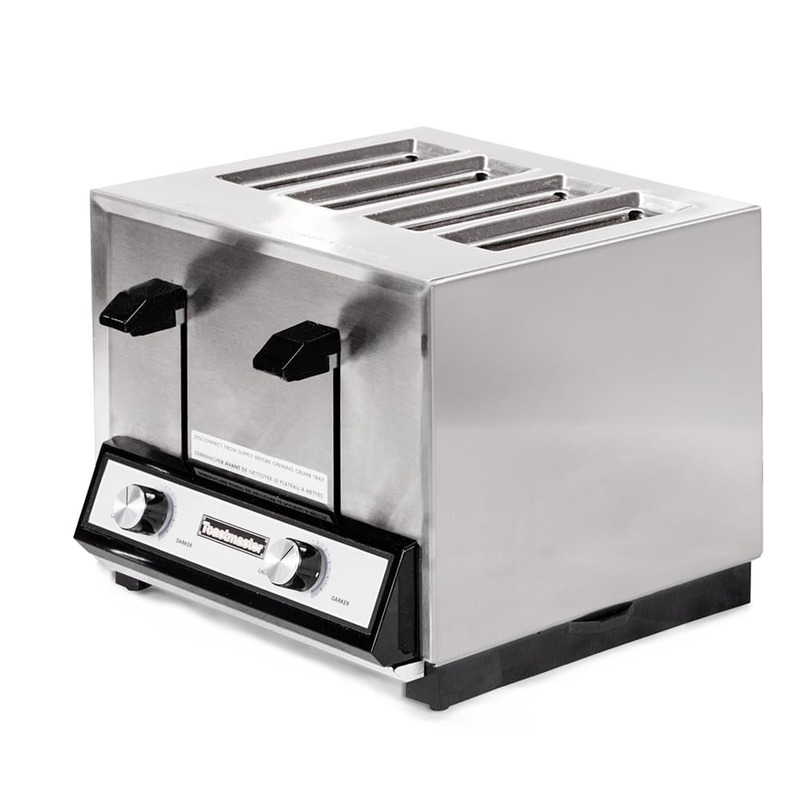 This Toastmaster TP424 slot toaster has a brushed stainless steel finish that provides a professional appearance and facilitates cleanup. Toasts 300 slices in an hr. We cover some of the uses, features, and benefits of slot and conveyor units in our slot and conveyor toasters comparison article.